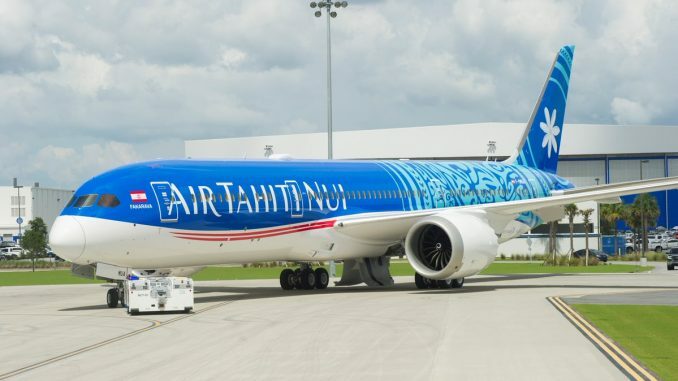 Engineers have attached the first fuselage barrels for the first Boeing 777-9s—the static test airframe and the first flight test example—and moved them into systems installation, Boeing reported in late June, and the first pair of wings have emerged from the horizontal build line at the company’s wide body plant in Everett, Washington. Scheduled to complete the static test airframe by the end of the year, Boeing has moved the wings for the larger of the two 777X variants into letdown and systems installation, while at the 1.3-million-sq-ft composite wing center(CWC), the company has begun fabricating wings for the fifth airplane. So far, Boeing has sent four sets of wings out of the CWC and into spar assembly. Boeing has now completed 98 percent of its engineering releases, leaving “very few left to do”, according to a company spokeswoman, who reported the remainder involves mainly systems. In the factory, Boeing has completed the static test rig in Everett, and now is loading it with all its test equipment, while the fatigue test rig has reached the halfway point of construction. Meanwhile, the airplane’s folding wingtips have arrived from their production site in St. Louis for the static airplane and the first-test article. One of the airplane’s most visually distinguishing characteristics, the 12-foot-long folding wingtip will allow regulators to classify both airplanes as Code E, meaning they will fit the same size parking space the 777-300ER now uses. The Airbus A380, conversely, operates as a Code F airplane, significantly limiting the number of airports it can use. See more about this subject in my October report. Airbus’s first BelugaXL has completed its first flight, paving the way for a 10-month long test certification campaign and a planned entry into service next year. The BelugaXL, powered by Rolls-Royce Trent 700 engines, took off from Blagnac in Toulouse, southwest France, where Airbus is based ,on July 19 and landed four hours and 11 min. later, Airbus said. 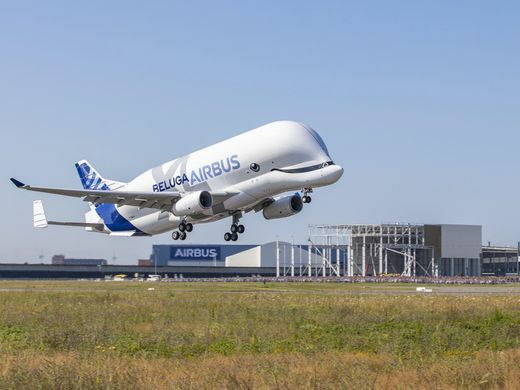 The aircraft, with its livery designed to look like a smiling beluga whale, the result of a vote by Airbus’s 20,000 employees, is the first of five BelugaXL’s that will enter service in 2019, gradually replacing the existing five BelugaST transporters Airbus uses to carry complete sections of its aircraft from production sites across Europe to final assembly. Airbus launched the BelugaXL, in November 2014 to address transport and ramp-up capacity requirements beyond 2019.The new oversize air transporters are based on the A330-200 freighter, with a large re-use of existing components and equipment. It has a payload lifting capacity of four tons greater than the current Beluga A300-600ST. 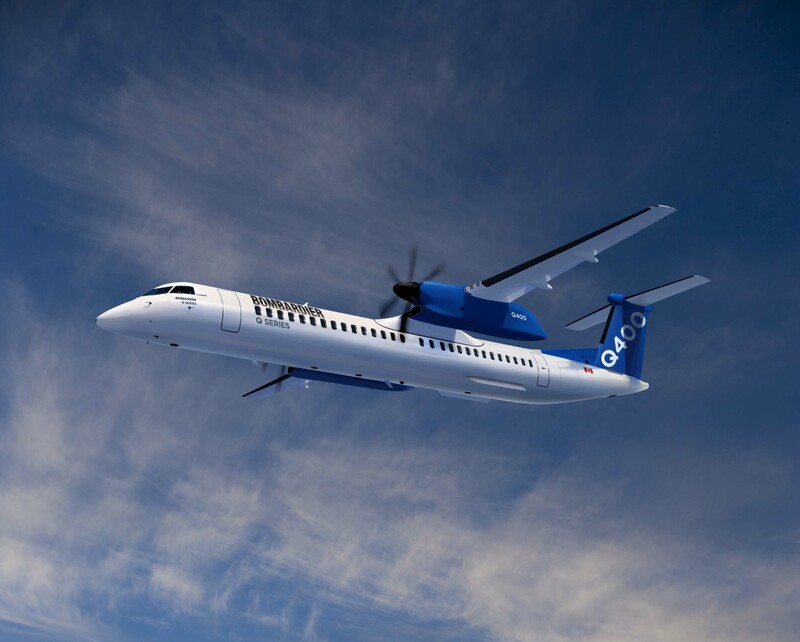 Bombardier Commercial Aircraft announced on August 1 that its 90-passenger Q400 aircraft certification has received its certification from Transport Canada, becoming the first in-production commercial turboprop in the world to reach that capacity. Todd Young, head of the Q Series Aircraft Program, said “This milestone certification showcases the unique versatility of the Q400 turboprop and continued commitment to the evolution of the program”. includes a 2,000 lb- increase in payload capacity and an escalation of the A-Check and C-Check intervals from 600/6000 to 800/8000 flight hours. Launch customer for this aircraft is SpiceJet of India. Rockwell Collins has signed master contracts with China’s AVIC Aircraft to supply its Pro Line Fusion avionics suite and air data systems for the MA700 twin-engine turboprop. AVIC Aircraft also has designated the Rockwell Collins HGS 3500 Head-up guidance System as an option. 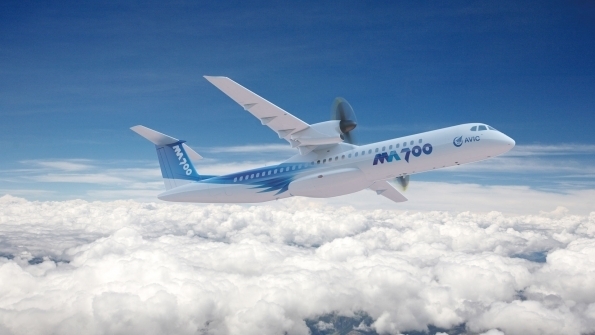 AVIC Aircraft plans to fly the first MA700, powered by Pratt & Whitney Canada PW150C engines in November 2019 and to obtain certification from the Civil Aviation Administration of China (CAAC) in late 2021. Pro Line Fusion on the MA700 features four, 14-in. widescreen primary and multifunction flight displays and Multifunction weather radar with predictive windshear capability. 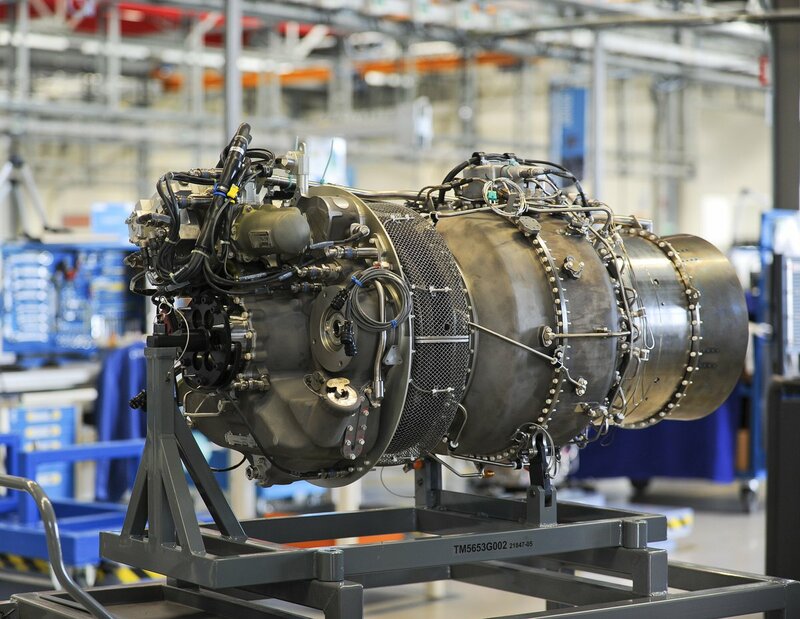 Avionics work will take place at Rockwell Collins facilities in the U.S. and Hyderabad, India as well as at the company’s Rockwell Collins CETC Avionics Co. joint venture in Chengdu, China. 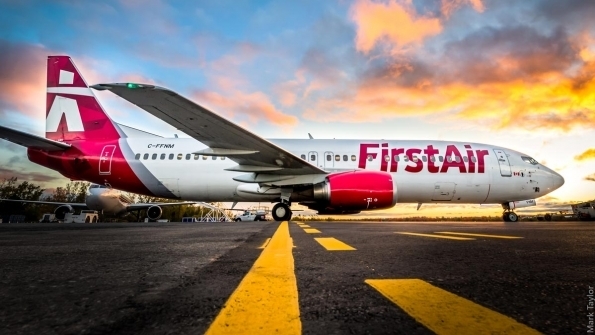 Calgary-based Canadian North and Ottawa-based First Air airlines have announced plans to merge—the latest step in the carriers’ efforts to combine air services to best meet the needs of the communities in the Canadian arctic. The two carriers plan to operate under the Canadian North name with an administrative headquarters in Ottawa. The deal, which requires regulatory approvals is expected to close this year. The two carriers provide key passenger and cargo connections between communities in Canada’s northern region as well as links to the country’s major metropolitan areas down south. The two carriers said combining forces ”is the only viable way” to meet air service demands in the Canadian north. A 2017 investigation by Canada’s Competition Bureau concluded that a merger’s benefits would outweigh its drawbacks. First Air operates a fleet of 20 aircraft, including 13 ATR 42s, five Boeing 737-400s and two 737-200s, Canadian North has 16 aircraft, including 10 737-300s, three 737-200s, and three de Havilland Twin Otters. Cathay Pacific, one of Asia’s best-known airlines, announced plans to debut nonstop service between Hong Kong and Seattle-Tacoma International Airport in April 2019. The four-times weekly service will see Seattle-Tacoma become the airline’s eighth passenger gateway in the United States, and its 10th in North America. Cathay Pacific currently serves Boston, Chicago, Los Angeles, New York(JFK), Newark, San Francisco, Toronto and Vancouver. A new Cathay Pacific service to Washington, DC will commence on the 16th of this month. 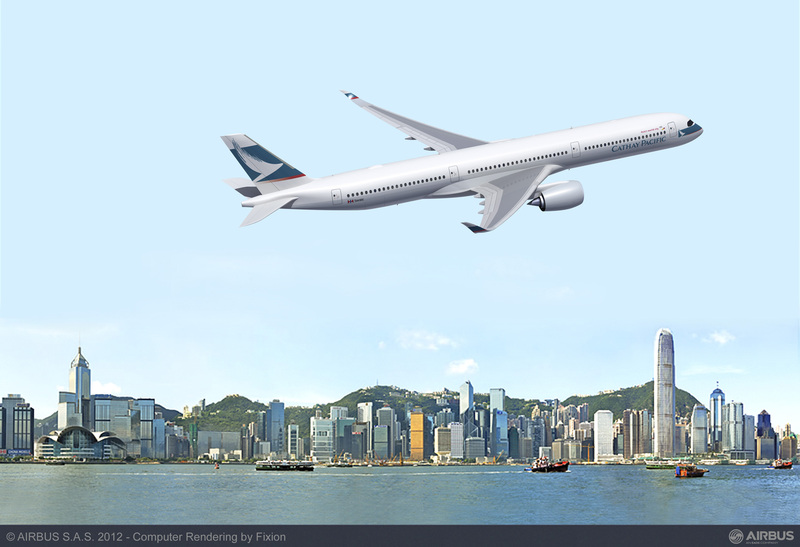 Cathay Pacific Chief Executive Officer Rupert Hogg said the Seattle route, which will be operated by the airline’s Airbus A350-900 aircraft, underscores the airlines expansion strategy to connect new destinations not otherwise served from Hong Kong. CX857 will depart Seattle on Monday, Wednesday, Friday and Sunday mornings at 1:05 a.m., arriving in Hong Kong the following day at 5:25 a.m. This early morning arrival allows passengers to connect with every Cathay Pacific flight across Asia—including, Bangkok, Kuala Lumpur, Jakarta and over 20 gateways in mainland China—without a lengthy layover in Hong Kong. The return flight, CX858, will depart Hong Kong at 11:55 p.m. (local time) on Tuesday, Thursday, Saturday, and Sunday arriving Seattle at 9:00 p.m.(same day). European turboprop manufacturer ATR delivered five ATR 72-600 aircraft to Iranian flag carrier Iran Air just before US sanctions came back into force. 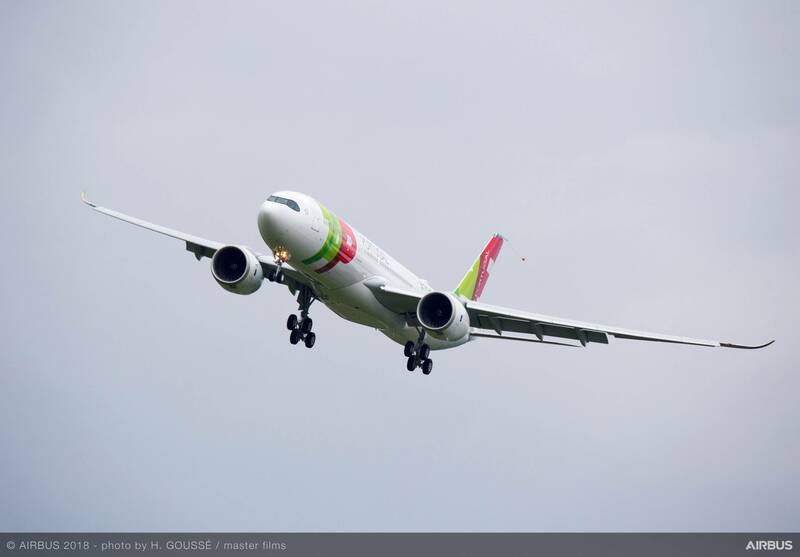 The carrier has now received 13 out of an order of 20 aircraft, the Toulouse-based manufacturer said. The aircraft took off from Toulouse on Aug.4, arriving in Tehran’s Mehrabad International Airport after refueling stop for a welcome ceremony that took place Aug.5. 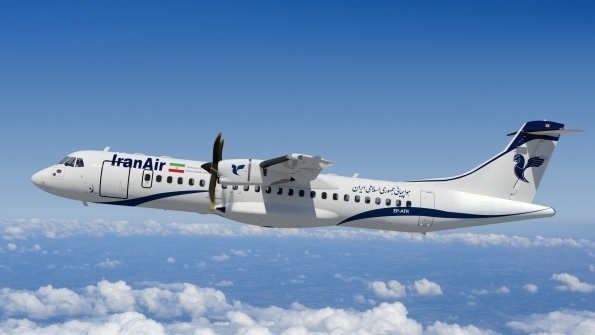 The company now faces “challenges” over the remaining aircraft Iran Air ordered for which ATR received a first US license in 2017, before the revocation, Scherer said. 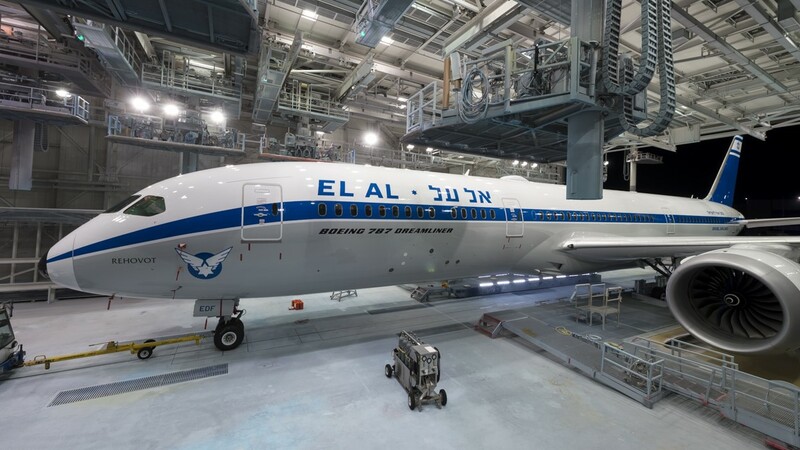 El Al took delivery of its latest 787-9 featuring a retro livery of the Israeli flag -carrier. 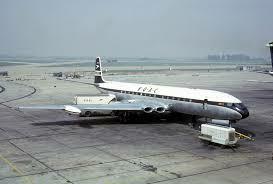 El Al adopted the livery on 707s, the carriers first jets, from 1961. 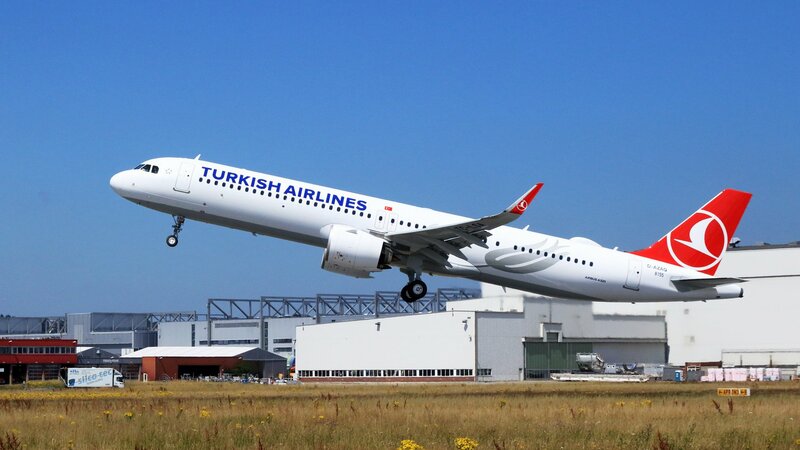 Turkish Airlines has taken delivery in mid-July of the first higher capacity A321neo ACF(Airbus Cabin Flex) that can accommodate up to 240 seats in a single-class layout, in combination with a space-saving aft galley. Boeing plans to establish 100,000 sqft autonomous aircraft research and development facility at MIT in Cambridge, MA; facility will house engineering teams from Aurora Flight Sciences. 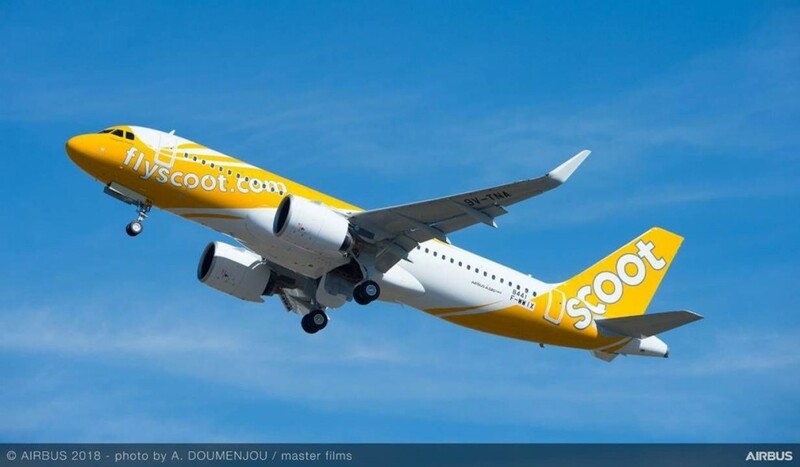 Cebu Air has agreed to lease five A320neos from Avolon for delivery starting in 2019. Pobeda Russian airlines wholly owned subsidiary of Aeroflot, has agreed with Boeing for the order of 15 737 MAX8 aircraft, with delivery from autumn of 2019. British Airways announced on July 19th a commitment for three 777-300ER.The airline will take the 777s on an operating lease with a leasing company. 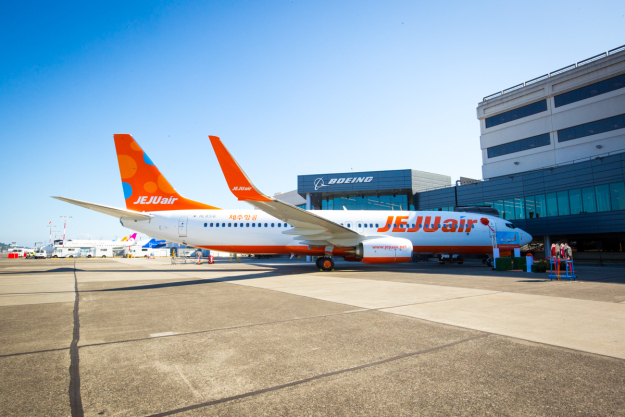 Jeju Air becomes first low-cost carrier in Korea to own and operate 737-800. 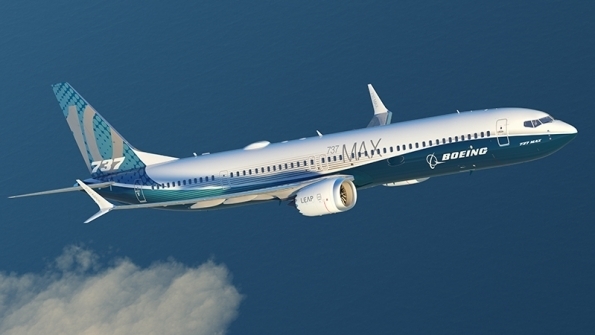 The delivery marks the first of three new 737-800 NGs the airline has on order with Boeing. 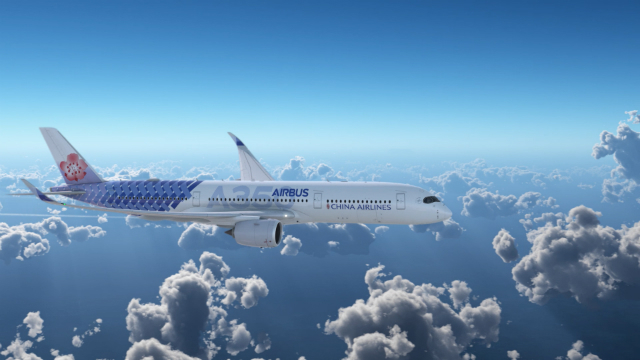 Air China has become the first mainland Chinese carrier to take delivery of an Airbus A350, after the airframe secured Chinese validation of the type’s certificate in mid-jury. 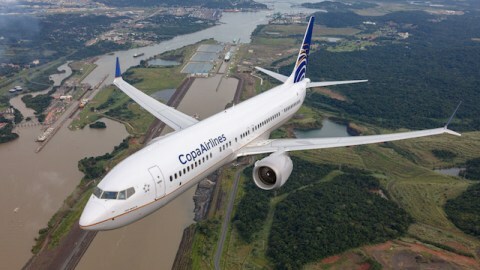 CDB Aviation Lease Finance will convert its order for eight Boeing 787-9s into one for 22 additional 737 Max 8s. China Airlines has revealed a special carbon fiber livery for its 14th and final A350-900. A raft of cargo deals were announced during the Farnborough Air show for a mix of new and converted aircraft. The biggest deal came at the start of the of the show, when DHL Express announced an order for 14 Boeing 777-200LRFs worth $4.7 billion. 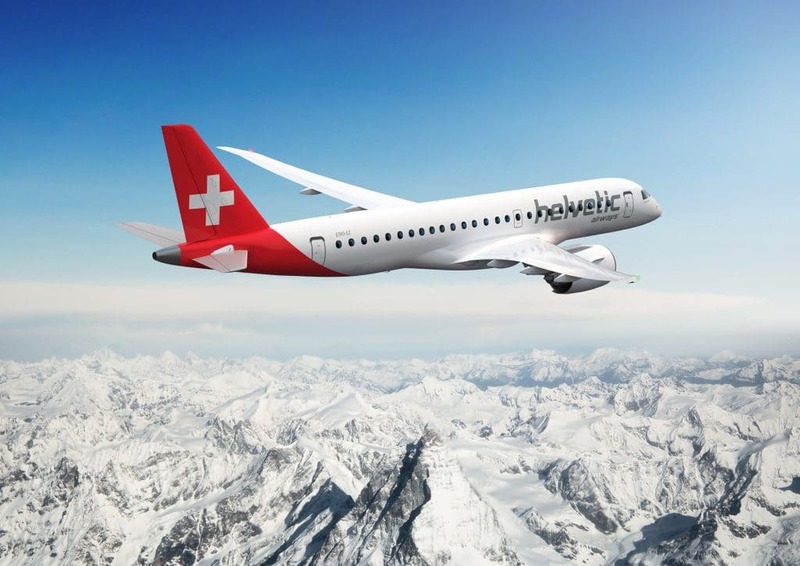 The German express shipper expects the first four of the aircraft to be delivered in 2019, and has also taken purchase rights and options on a total of seven more. 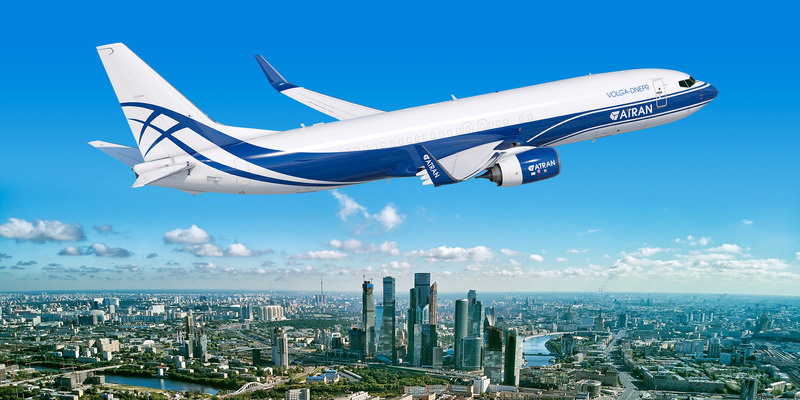 Volga-Dnepr placed a firm order for five 747-8F Freighters and a commitment of 29 777-200LRFs. 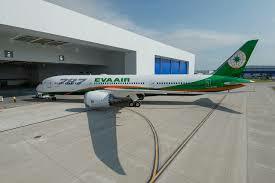 The Russian cargo airline is also in discussion with Boeing about further orders of new and converted 767 freighters and converted 737-800 BCFs. Qatar Airways finalized an order for five 777-200LRFs, confirming a deal announced as a commitment in April. Lessor GECAS is to take up to 35 more 737-800 BCFs, building on its current commitment for 15. The deal comprises firm orders for 20 conversions and options on 15 more. Ethiopian Airlines and DHL have agreed to form a joint-venture company to create what they call the leading cargo logistics provider in Africa. Named DHL-Ethiopian Logistics services, the company will base its operations in Ethiopia and do business throughout A, thereby improving Ethiopia’s logistics infrastructure and connections. Under the terms of the contract, Ethiopian Airlines takes majority stake in the joint venture and has agreed to provide regulatory and operational support, while DHL establishes air, ocean, and road freight connections between Ethiopia’s main trade hubs and the rest of the world. The joint venture builds on an extended partnership between Ethiopian and DHL Global Forwarding, which since 2010 has supported the maintenance, repair, and overhaul(MRO) operations of Ethiopian Airlines’ commercial segment, providing logistics services for aircraft parts, engines, and mechanical modules to textiles, utensils, food. 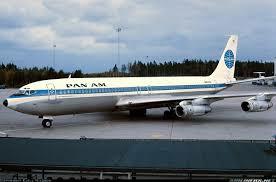 and beverages via air and ocean freight between Europe and Asia. 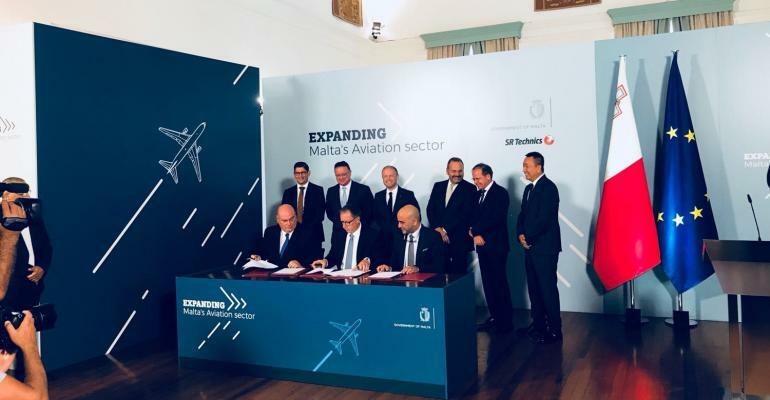 Having signed a memorandum of understanding (MOU) in May 2017 to expand its aircraft maintenance facility in Malta, SR Technics furthered its plans on Monday August 6 by penning a contract with national economic development agency Malta Enterprise and Malta Industrial Parks which oversees the management of government-owned properties. 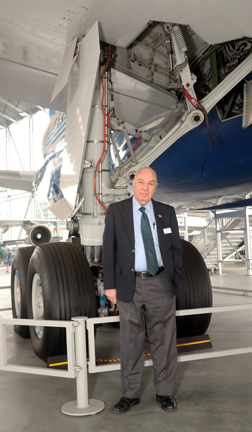 The new 322,000 square foot facility located at Malta International Airport will accommodate wide body and narrow body aircraft and will hold greater workshop space which will enable increased capacity for heavy maintenance work, C-checks and cabin modifications or retrofits to up to six narrow body aircraft at a time. The investment will stand at a reported $40.5 million. 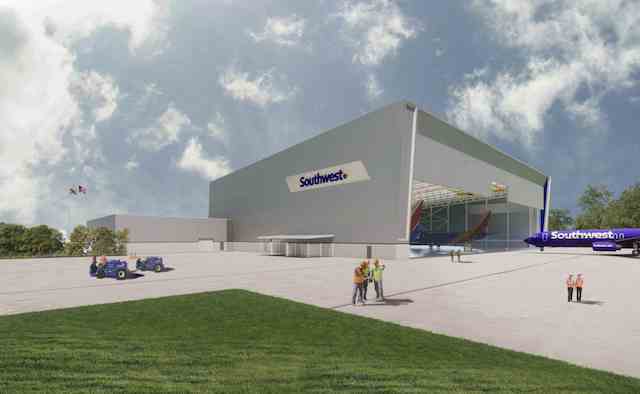 Construction is expected to begin this year with four bays scheduled to be completed by November 2019.Initial focus will be on Airbus A320 family and Boeing 737NG aircraft. AJW Group secured a 5-year power-by-the-hour Airbus A320 contract with Cambodia Airways, which is scheduled to begin operations later this year. 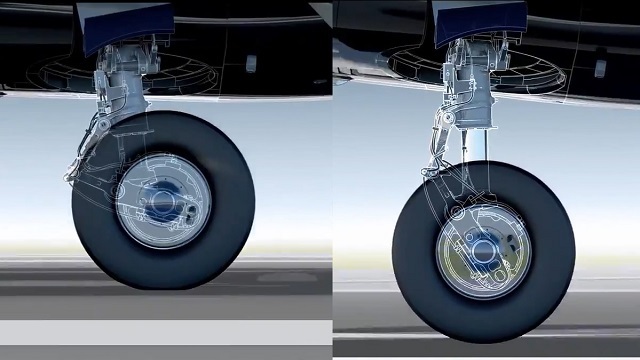 Turkish Technic was selected by Russia Nordwind Airlines to replace the landing gear on a Boeing 777. Monarch has an Air Transat contract for Airbus A310/A330 line maintenance at Glasgow. EFW(Elbe Flugzeugwerke) delivered its first converted Airbus A330-200P2F to EgyptAir. 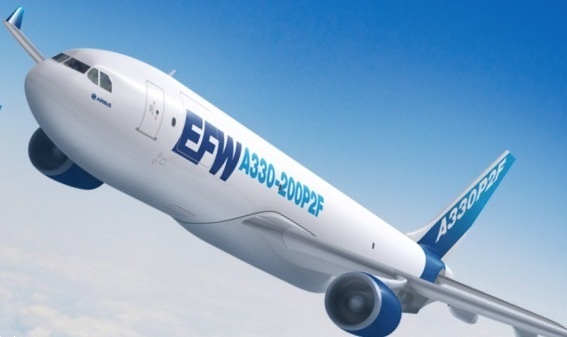 EFW says EgyptAir ordered Three A330-200 PSFs. 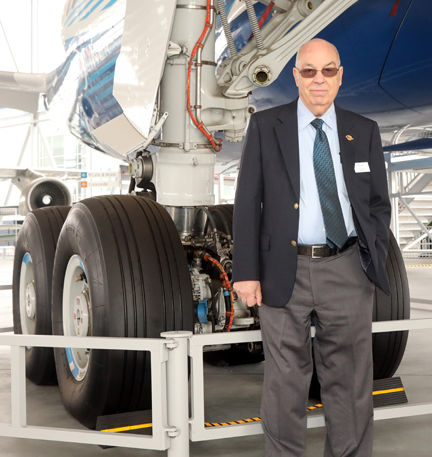 S7 Technics opened a new line maintenance station at Moscow’s Sheremetyevo airport.